Going East ! | La Rosilla - Lifestyle and food. 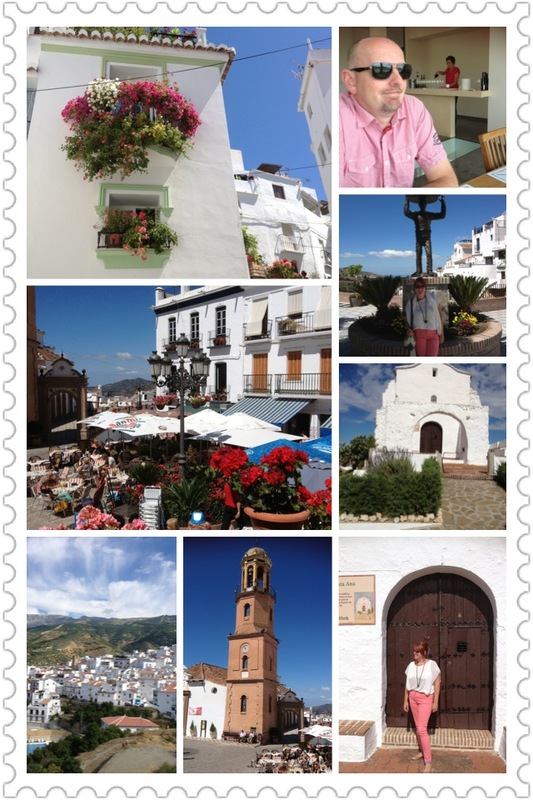 The area of Andalucia that we live in is called Axarquia, part of Malaga province, that is home to spectacular scenery, mountains, lakes, coastline, white villages, rural life, traditions and local dialects that change from one hamlet to the next. To explore on our doorstep, and also to return to places visited in the past, can seem like we’re are miles from home with the diversity of the area. Colmenar our home town, is the capital of the Axarquia and the Montes de Malaga, but on our recent whistle stop break we headed east, to the other side of the majestic Mount Maroma, that centralises our scenery, in the Sierra Tejeda. We chose to take the twisty windy road from the coast at Torre del Mar, up to the small town of Canillas de Albaida, a road with views to the mountains and sea, great vantage points along the way, to sit and just soak up the vista. Jacaranda trees were in full bloom with their lavender fronds swaying in the breeze against the backdrop of the azure sky. Eagles soared and goats wandered. Canillas de Albaida, is beautifully kept, with a calm and tranquil atmosphere, cobbled streets too narrow for cars, basket and flower decked terraces and patios a plenty . We stayed at the perfectly placed Posada la Plaza, in the central town square, flanked with geraniums, pots & fountains. The Posada, was decorated in authentic Andalucian style and the perfect place to relax. Rooms were bright, spacious and clean with views over the plaza and quaint balconies. The owner Gustavo, has created the right balance of tradition and quality, and added lovely touches like an honesty bar, and rooftop sauna. The restaurant opposite, had a wonderful menu and wine list and dishes were delicious and plentiful, service was first class and friendly and an added bonus, we could just stumble back to our bed, no driving involved. Awake early, I watched the sunrise off the balcony, and slowly the hamlet came to life. We enjoyed a leisurely breakfast, before being shown Gustavo’s new venture Posada la Casa, a unique boutique hotel on the outskirts of the village, with great pool. Hopefully a new venue for La Rosilla Cookery & Culture days, to enjoy the different gourmet delights of this area. Setting off we headed back down to Competa, a hillside town, that seemed to have grown since the last time I visited. Bustling and busy, cafe culture, time to sit and watch the world go by. Lunch of Sopa de Picadillo (Spanish soup for the soul) and Berenjenas fritas con miel (Aubergines fried with honey) , lined our stomachs, prior to our eagerly awaited Wine tasting and tour of the prestigious Bodega Bentomiz. Bodega Bentomiz is situated on the foothills of the Sierra Tejeda outside Sayalonga, with in view of the Mediterranean, the sea breezes, cool winters and warm dry summers, allow the grapevines, many of ancient stock to thrive and along with the Bodegas wine-making methods produce award winning fresh delicate wines ‘Ariyanas’. We sampled these fine wines, in the breathtakingly designed Bodega, a washed with light from huge aspect windows with views to the vines and sea beyond. Each wine was expertly paired with a delicious Tapa, my favorite an unusual sweet red wine 100% Merlot naturally sweet and unfortified ‘David Tinto Dulce’ enjoyed with a chocolate dipped fig. We will enjoy it at La Rosilla, as an aperitif, with a rich home made pate or for pud, with a indulgent chocolate fondant. Heading home, comfortable full of culture & cuisine, with figs, jamon, asparragus and of course ‘Ariyanas’ wine, for the end of our whistle stop tour, and supper back on our terrace. 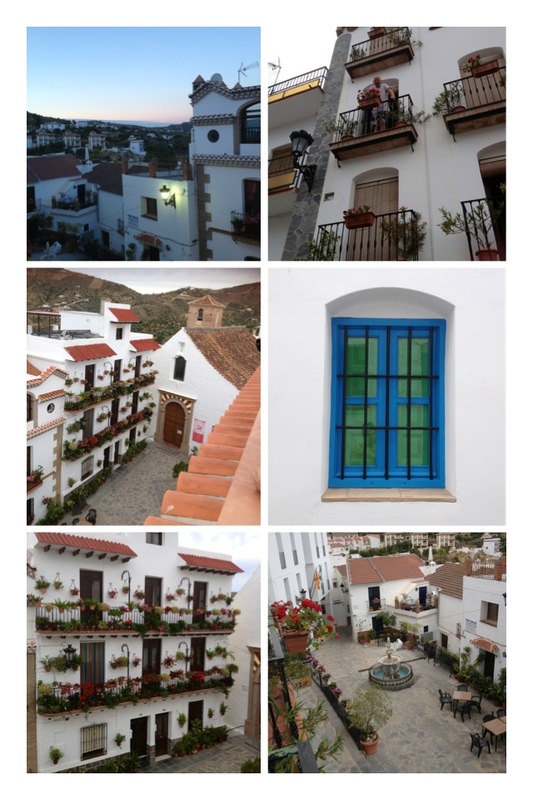 La Axarquía is such a great place to live! Glad you’ve visited my home town of Cómpeta – but pity I didn’t know, so I could have popped in to say HELLO! It’s looking like a place that must be visited, great that you have done all the ground work, makes it easier to get straight into the indulgence side of things, namely food and drink. Put this down on our agenda for our forthcoming visit.